Carrying out reviews is always a pleasure and sometimes a challenge here at Feasting is Fun. While taking great care to bring an honest, thorough review, creating new recipes can sometimes stretch me. Yet challenging myself to come up with new ideas, is, ultimately, what delivers the most satisfaction. With this in mind, I hope you enjoy my Lloyds Chocolatiers Product Review. The product selection I received from Lloyds Chocolatiers. Receiving such a varied selection was a real treat. Allowing me to get creative with my recipes. Since Valentine’s Day is nearly upon us, the chocolate hearts immediately grabbed my attention. A delicious variety of truffles, filled with ganache, whipped fruit fillings and the most incredible caramel. 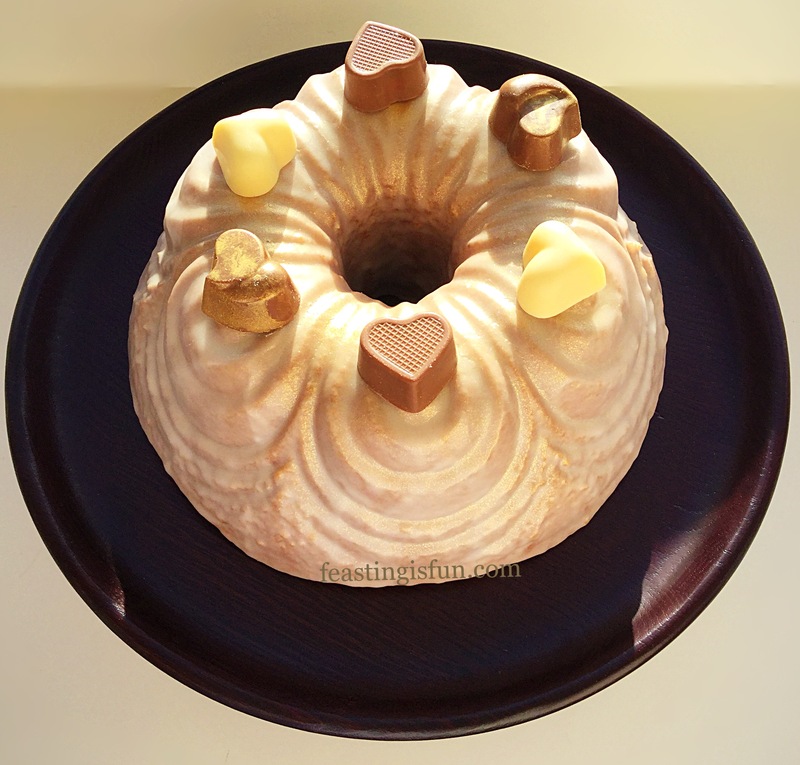 These chocolates became the inspiration behind my Chocolate Heart Topped Rose Bundt Cake . Perfectly complimenting the rose and vanilla flavoured cake, I highly recommend them. Included in the package were also some beautiful Rose and Violet chocolate fondants. The finish on these chocolates is outstanding and our daughter observed that they resembled marbles, such was the shine. These chocolate fondants would also work well with the Rose Bundt Cake. While the Rose fondants had a subtle flavour, similar to turkish delight, in comparison the Violet fondants were stronger. Reminiscent of years gone by, both flavours were enjoyable. Rose and Violet Chocolate Fondants. Presentation of all the chocolates was outstanding. Great care had been taken to ensure that they arrived in perfect condition, always a consideration when ordering any product online, especially food items. Also, each individual product’s packaging was sleek, streamlined and designed to show the product off at its best. While it also protected the chocolates. 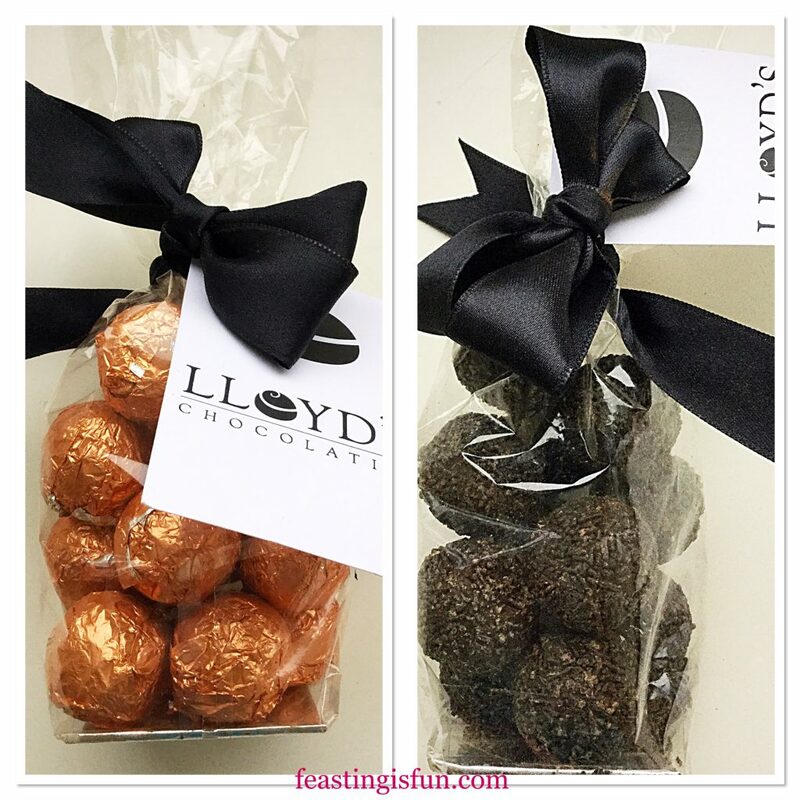 Lloyds Chocolatiers Product Review bags of boozy truffles. Chocolate truffles are a weakness of mine. Add in a splash of something boozy and I’m sold! Yet, occasionally I am disappointed. Too much alcohol and the truffle is ruined. Not so with these delicious beauties. The gold wrapped chocolate truffles contain just the right amount of whiskey and are finished with a dusting of cocoa. While the vermicelli covered chocolate rum truffles just edged past, in terms of my flavour preference. Both are delicious and highly recommended. Lloyds Chocolatiers Product Review the chocolate bars. Finally, the chocolate bars. The milk chocolate was creamy, yet not too sweet. This is a great chocolate bar. When ordering chocolates as presents, one or two would also be added to the basket! The white chocolate bar is sublime. Most white chocolate is very sweet. Too sweet. Not Lloyds Chocolatier’s white chocolate bar. A great balance of creaminess and vanilla. This simple, yet excellent bar of chocolate could well be my undoing! 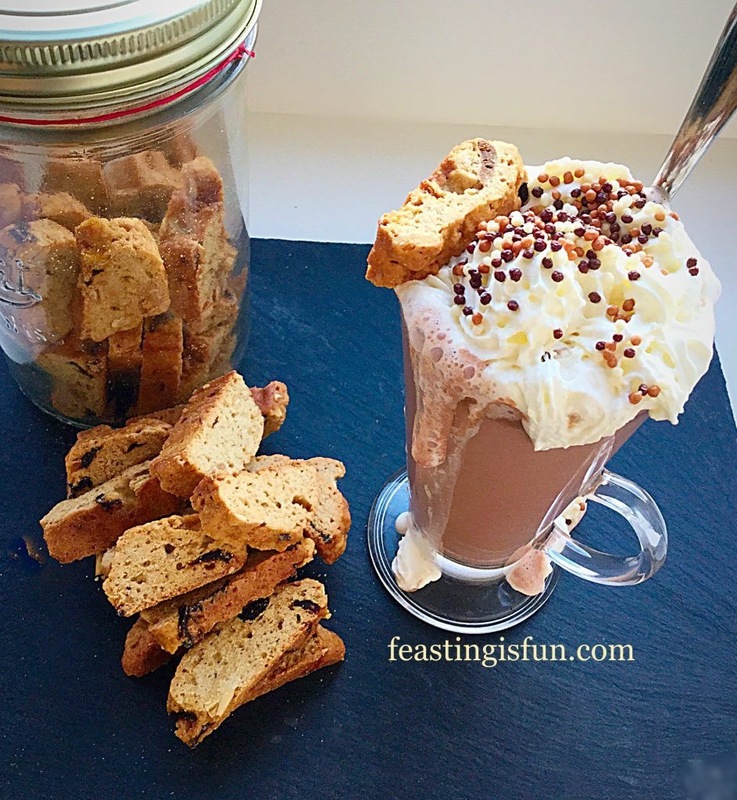 While a little on the pricey side, the flavour is absolutely worth it, for both chocolate bars. 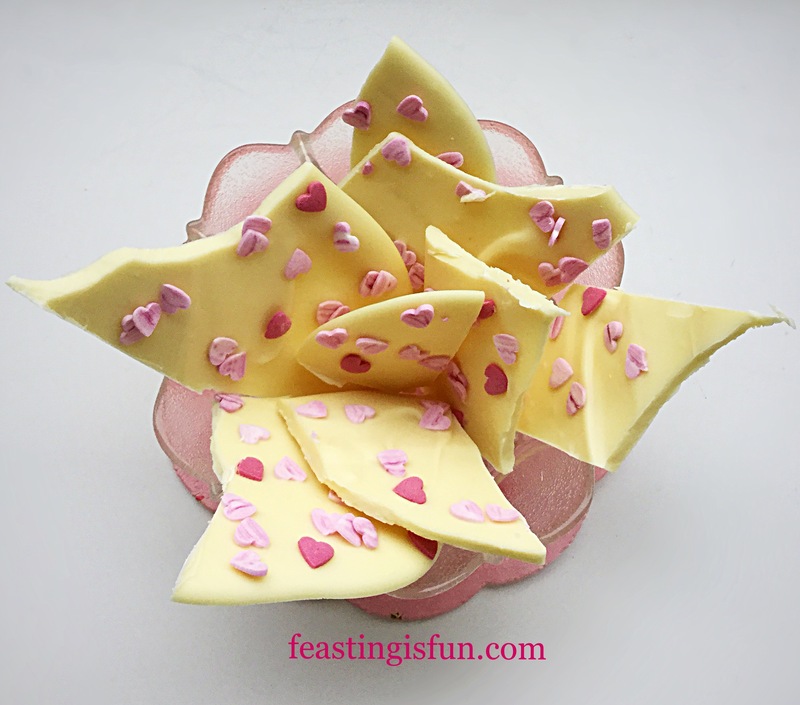 As part of the Lloyds Chocolatiers Product Review this White Chocolate Valentine’s Bark was made. The recipe is simple and requires only 2 ingredients. Heart Sugar Sprinkles – available from most supermarkets. First of all, line a baking tray with baking parchment. Next chop up the white chocolate until it is in small pieces. Less than 1cm in size. Place approximately two thirds of the chopped white chocolate into a heatproof, microwaveable bowl. Heat the chocolate for 20 seconds at a time, stirring in between each heating. As soon as the chocolate is melted add the remaining chopped chocolate to the bowl and stir until all of the chocolate is completely melted. If necessary, heat for a further 10 seconds at a time, in the microwave. Once melted stir to ensure the melted chocolate is free from lumps. Pour the melted chocolate on to the baking parchment. Using either an off set spatula or the back of a spoon spread the chocolate out into a rectangular shape. Ideally the chocolate should be about the thickness of a one pound coin, 3-4mm. Scatter over sugar heart decorations, while the chocolate is still tacky. Place the baking tray somewhere cool to allow the chocolate to set. During very hot weather it may have to be placed in the fridge for a few minutes. 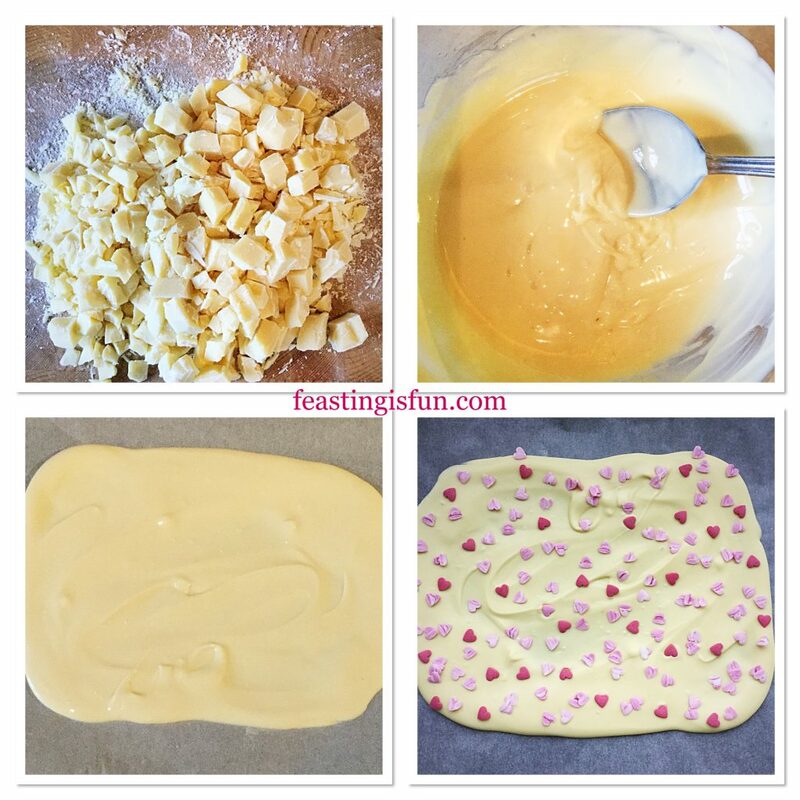 Making the White Chocolate Valentine’s Bark. Once the chocolate has set it is ready to be cut. Use a sharp, un-serrated knife to cut 4 lines, equally spaced, from top to bottom. The chocolate will naturally crack into shards. Notice how the chocolate splits and cracks. 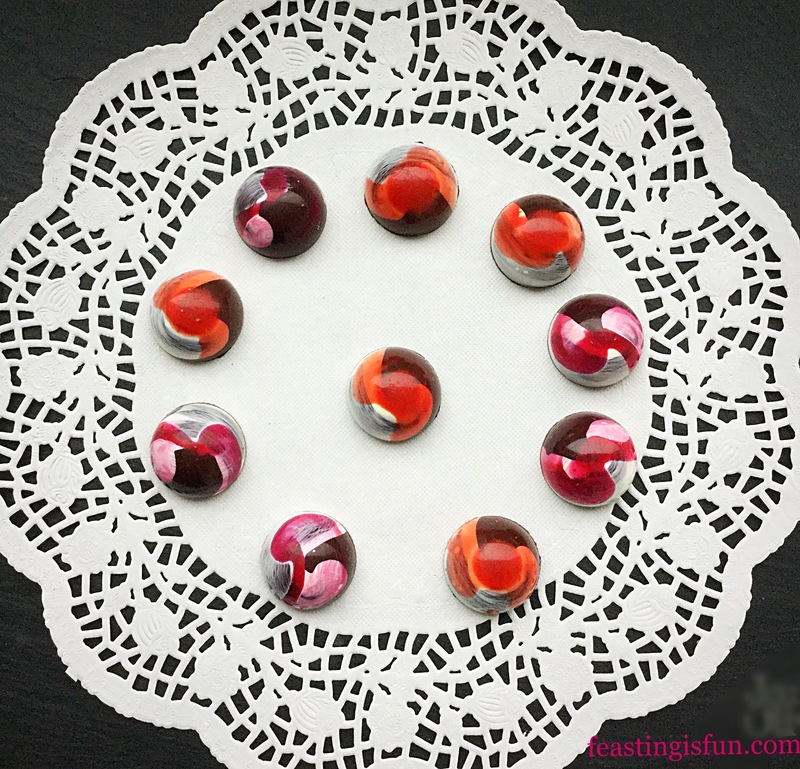 Place the heart studded chocolate shards in a pretty bowl to serve. 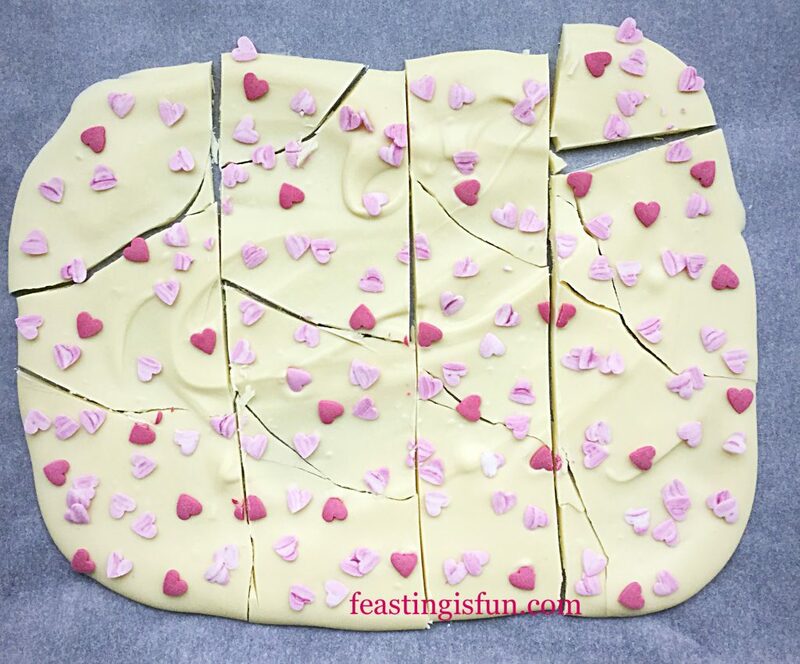 Lloyds Chocolatiers Product Review with homemade White Chocolate Valentine’s Bark. 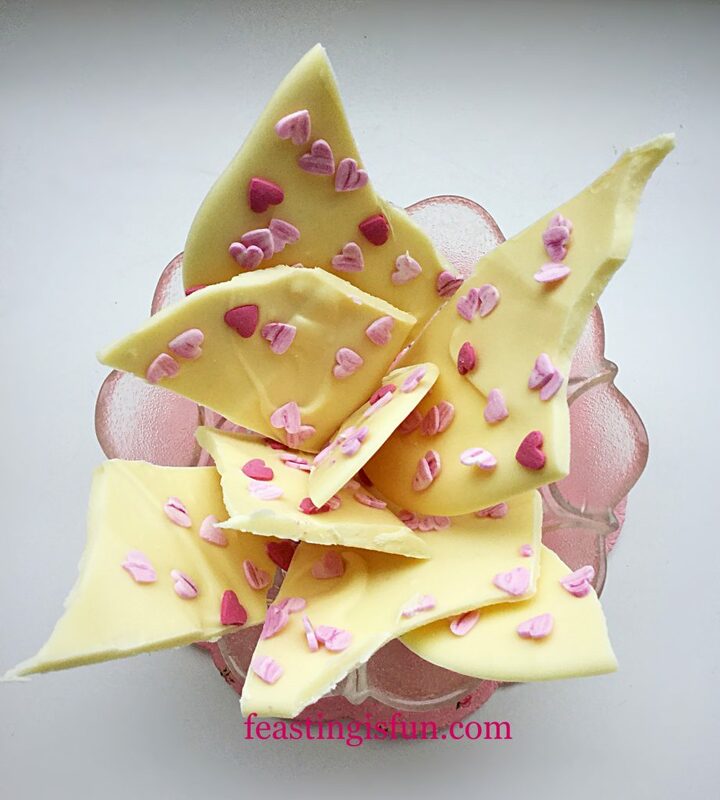 The White Chocolate Valentine’s Bark can also be placed into cellophane bags, tied with pretty ribbon and given as presents. Considering that all of the chocolates are handmade by Lloyds Chocolatier’s, I was very impressed the the sharp snap of the chocolate bark. While tempering chocolate can be quite a procees. Certainly one I am happy to leave to the proffessionals. In comparision the easy tempering technique used here gave great results. 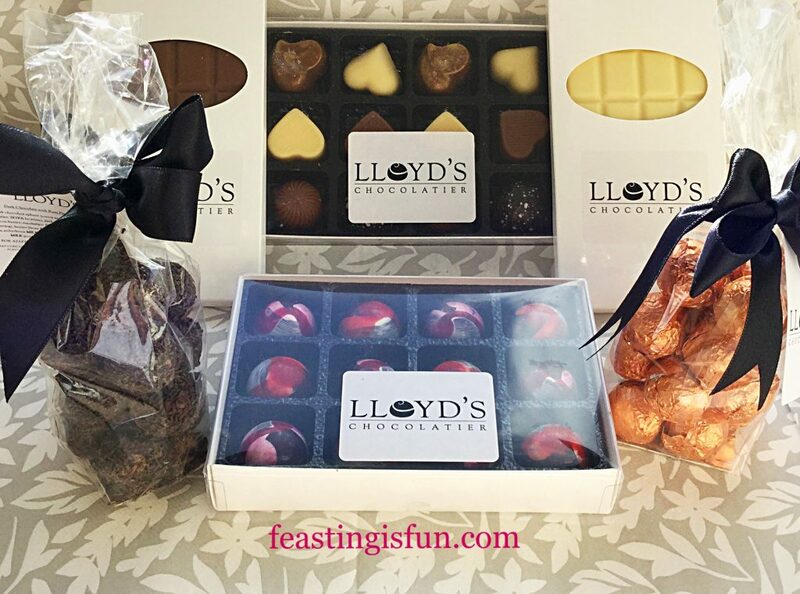 Whatever type of chocolate you enjoy, or wish to give as a gift, I highly recommend Lloyds Chocolatiers. From variety to beautiful packaging, they certainly make great chocolate. 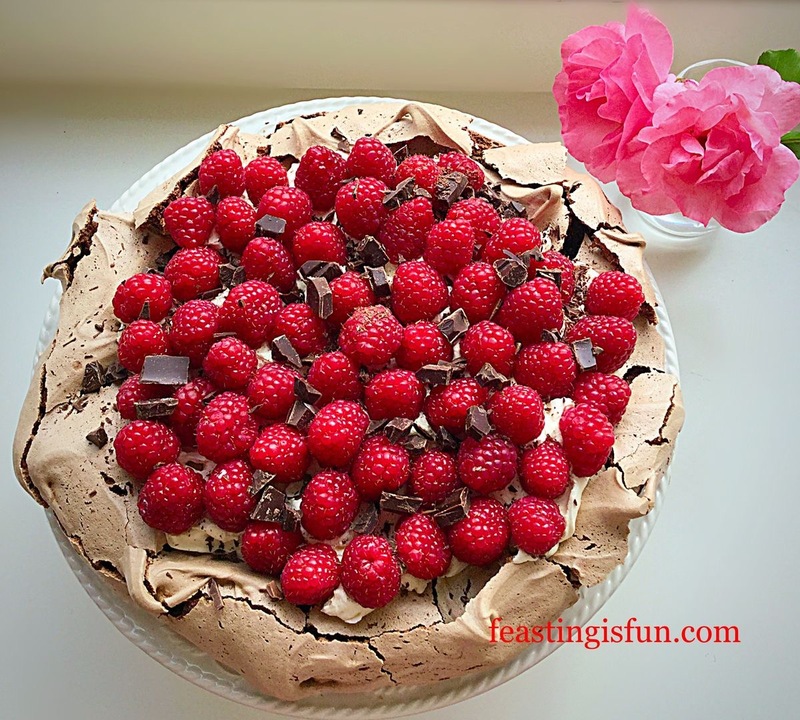 Whether you celebrate Valentine’s Day, or not, creating something delicious for loved ones is always fun. 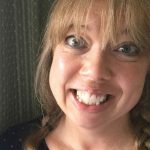 Either adorning a cake with beautiful chocolate hearts, or making chocolate bark with the children, a personal touch can add so much more, any day of the year. Such as remembering someone’s favourite chocolates. 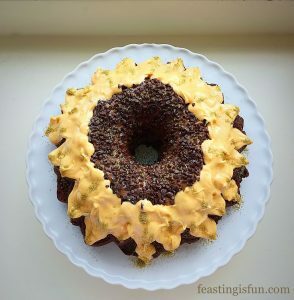 Whatever you are baking, making and creating in your kitchens, have fun preparing your feast and remember, food always tastes better when it is shared. 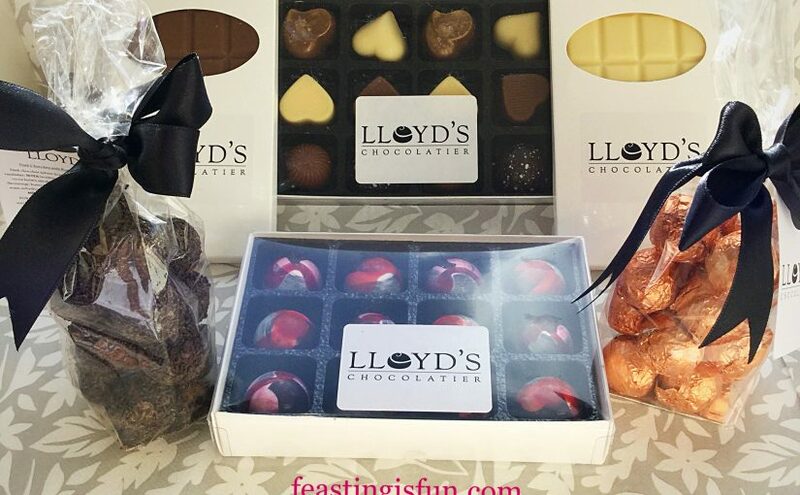 Lloyds Chocolatiers provided me with the chocolates in this post, for the purposes of a review. All content, photography, opinions and views are my own. Please see my Disclosure Policy.